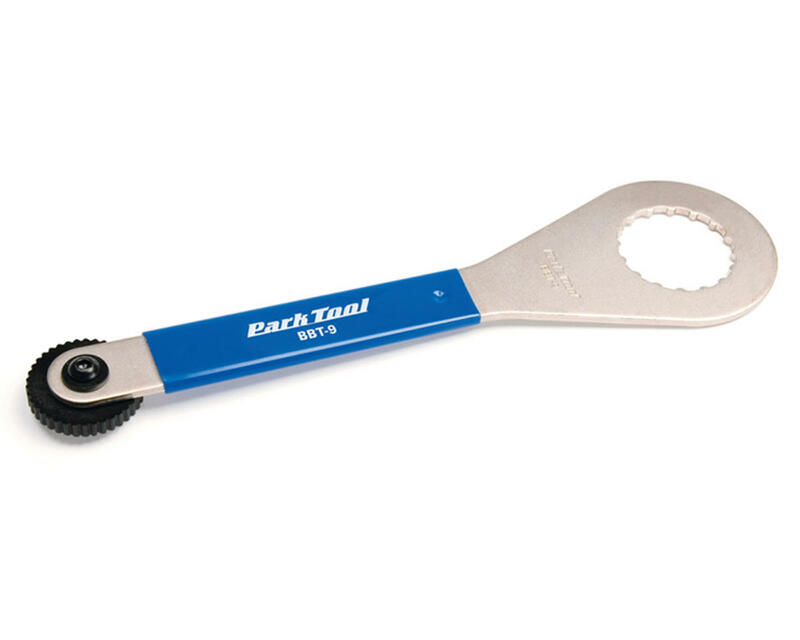 This is the Park Tool BBT-9 Bottom Bracket Wrench. The BBT-9 is used to remove and install external bearing crankset bottom brackets. One end of the BBT-9 securely engages the 16 notches of the bottom bracket cups. The other end of the tool engages the 8 internal splines of the crank arm adjustment cap. The BBT-9 fits cups and rotor disk lockrings with 16 external notches and an outside diameter of approximately 44mm.